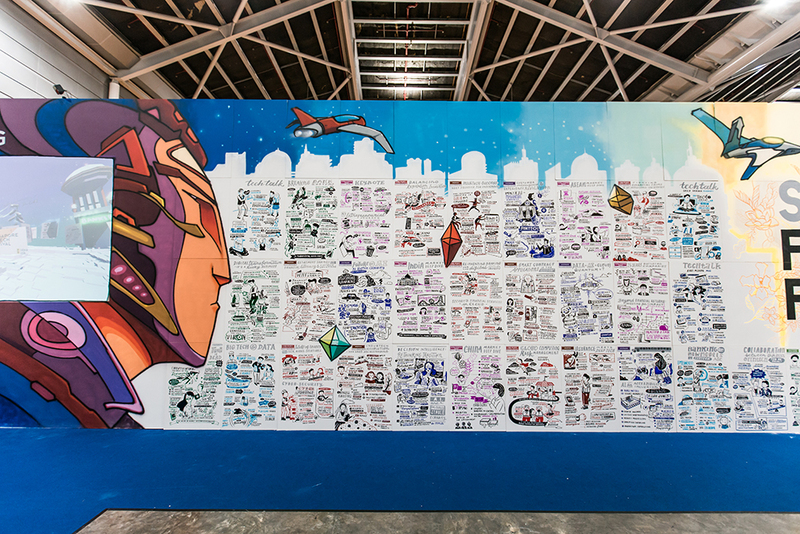 Click here to download the illustrations and full sketch wall. 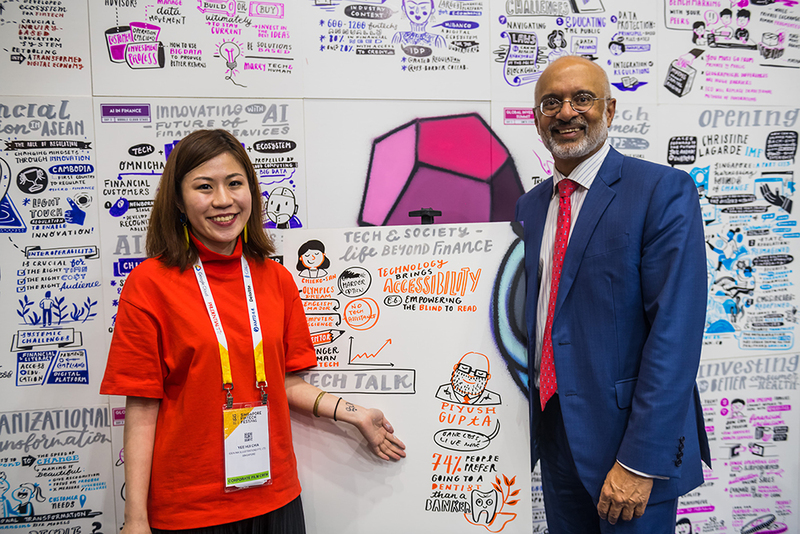 Spanning 3 days, 250 speakers, and 70 sessions, Singapore FinTech Festival 2018 - organised by Monetary Authority of Singapore (MAS) - is back with massive scale and pace. 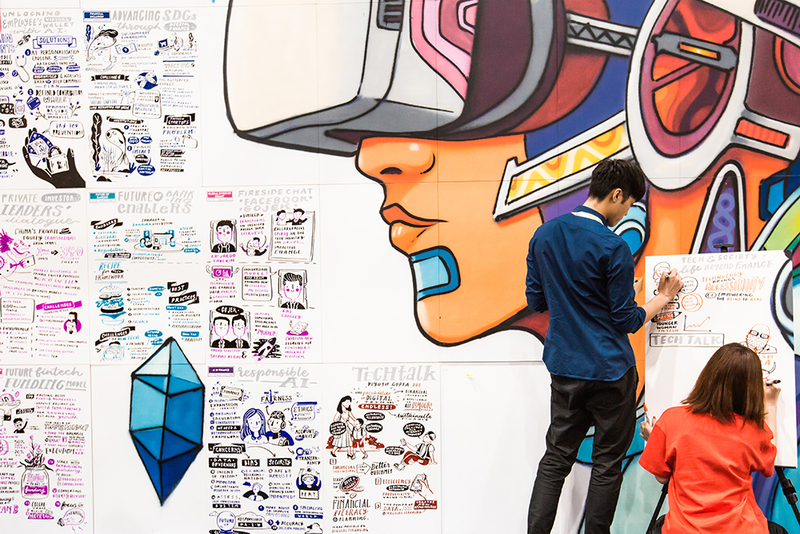 From speakers such as Christine Lagarde, Chairwoman of International Monetary Fund, to Prime Minister of India, Narendra Modi, more than 45,000 people from over 130 countries gathered to hear about the future of financial technology: artificial intelligence, insurtech, cybersecurity, and more. 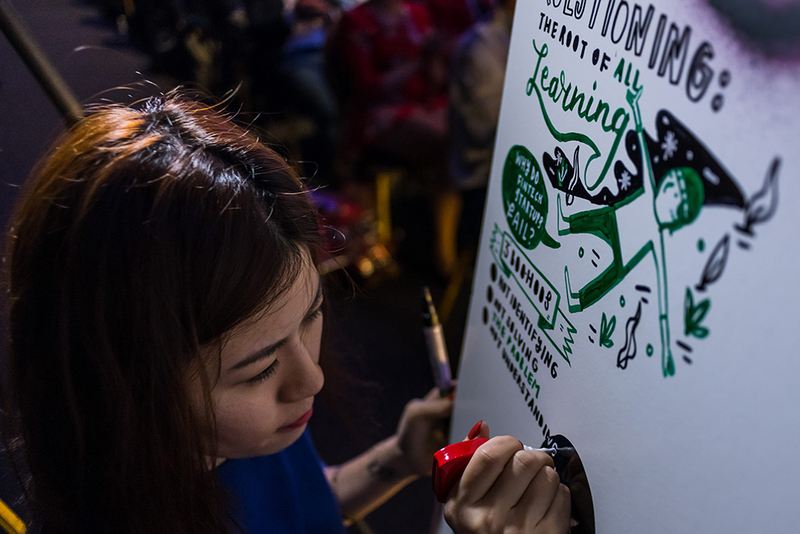 With overwhelming ideas spanning over 70 sessions - it was a challenge for festival delegates to separate insight from information. 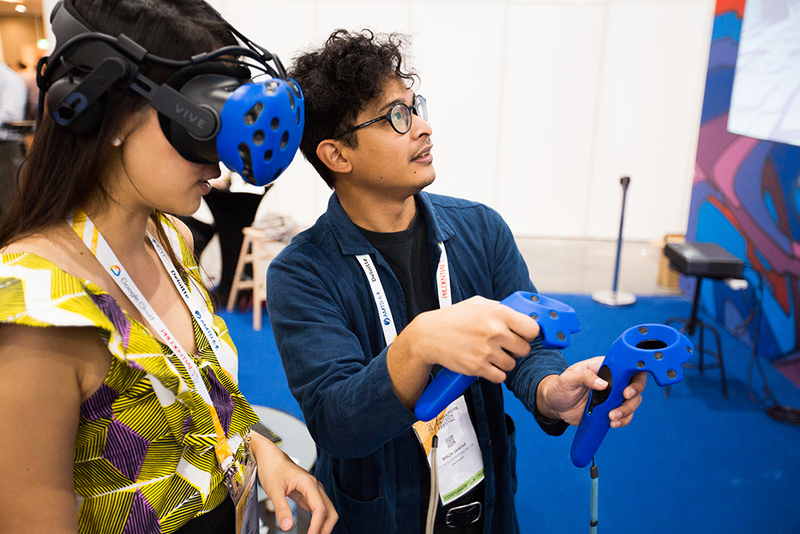 Not only was it physically impossible to attend five concurrent conference tracks, memory retention proved difficult amidst an information glut. Delegates needed to share context and nuance, with speed and concision, across their social media platforms and international teams. 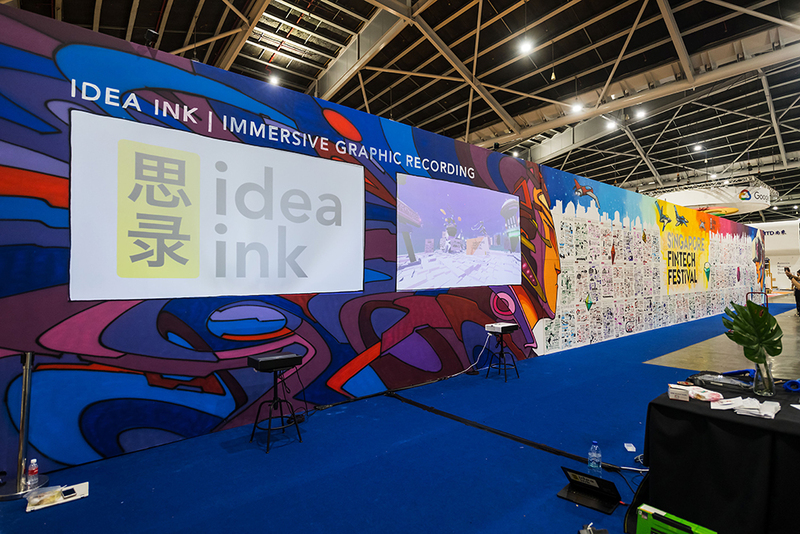 Thus Idea Ink’s 28 m sketch wall provided a unifying canvas of data points: complete with nine themes, a visual group memory, and literal big picture of the entire festival. 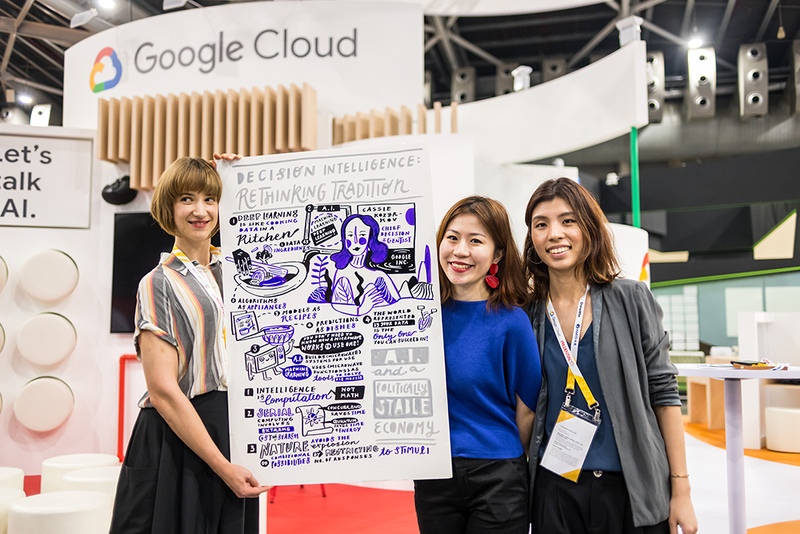 Ms Cassie Kozyrkov, Chief Decision Scientist at Google, Inc.
With a combination of physical graphic recording, multi-sensory virtual reality experience, and post-event digitised PDF, attendees were able to mill and revise key ideas across three platforms of communication. 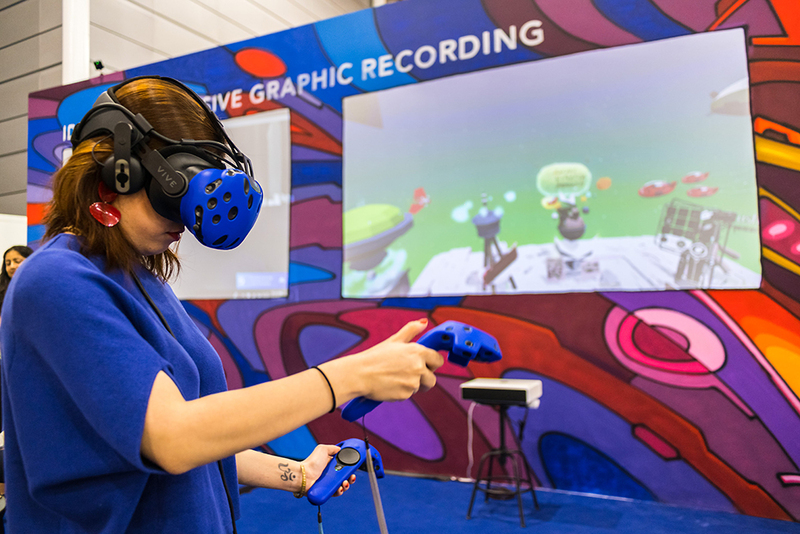 The visceral aspect of physical story-telling was both engaging and memorable - while the virtual reality experience gives viewers a curated experience of meta-insights across the entire festival. 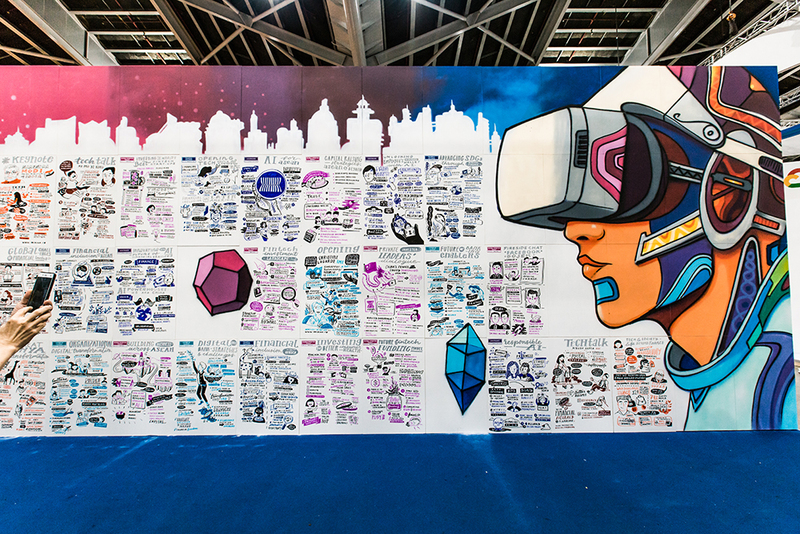 Last but not least, attendees get to scroll through 60 hours of content in less than 20 minutes - all while being able to identify key speakers and choice sessions relevant to their purpose.